I have been using The Lawn Dude for about a year now. I was hesitant at first due to the fact that I previously had Trugreen coming to fertilize and they killed my grass. Once The Lawn Dude began coming I saw a transformation in my yard in just a few weeks. They have been very reliable and professional. Over time they have made a few suggestions on how to improve the appearance of my lawn. They have customized a maintenance schedule based on my lawns needs (I have 2 different types of grass in the front and back), and they even have me on a fertilization schedule. I always get a reminder text prior to them coming out. They always show up (aside from times when we have heavy rain), and even then, they let me know when they will be by to take care of the yard. I get compliments on my yard all of the time! I would definitely recommend this company! The Lawn Dude always does a fantastic job. 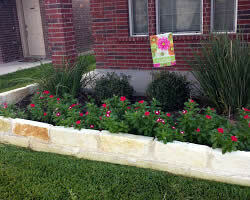 great at suggesting what can make our yard better. always so nice, professional, helpful. SO glad to have found them! would absolutely recommend. Im so glad I found The Lawn Dude. I live out of town and he takes care of my rental. He is fast, professional, and most importantly "trustworthy". I have never felt he was trying to rip me off or sell me unnecessary services. He texts me before and after pictures, and his work is truly top notch. I cannot praise him enough. 100% recommended. I have been using the Lawn Dude for the past year. He is always on time and takes great care of my lawn. When I have a need for anything extra he always works it in. 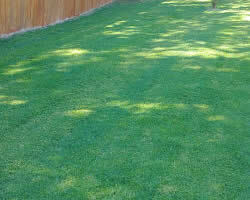 I have used several lawn services in the area and he is by far the BEST! These guys have awesome customer service. I called five different companies and they were the nicest ones, so that's why I picked them. They showed up at a good time not too late, not too early. Let me know when they finished and talked to me about the process of everything. I truly recommend them. The Lawn Dude has been taking care of mowing my lawn for a while now. 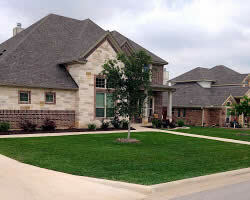 They have great customer service, and in their professional opinion let you know what your lawn needs. This year I have also started having them fertilize my lawn. They keep up with when my lawn is due its next treatment, so it makes it a lot easier for me when I forget. 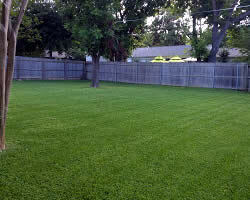 I would recommend The Lawn Dude to anyone that is looking for a Lawn Service Provider. The Lawn dude is the best in Killeen without a doubt! He has always done a great job and his prices are better than anyone in town. 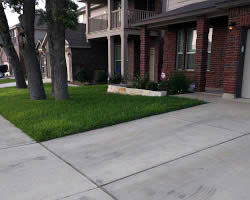 They do a great job and always leave the yard clean and immaculate! If you need lawn work the Dude is who you need!